A loan of $1,000 helped to buy a dairy cow. Siliviah lives in a humble home in the town of Kitale, along with her husband and their two children. She has always strived to give them a decent life and a good education. Siliviah works with a great deal of determination, for many hours, on her farm, all to bring decent food to her home and be her family’s support. Siliviah has been practicing mixed farming for the past 10 years. 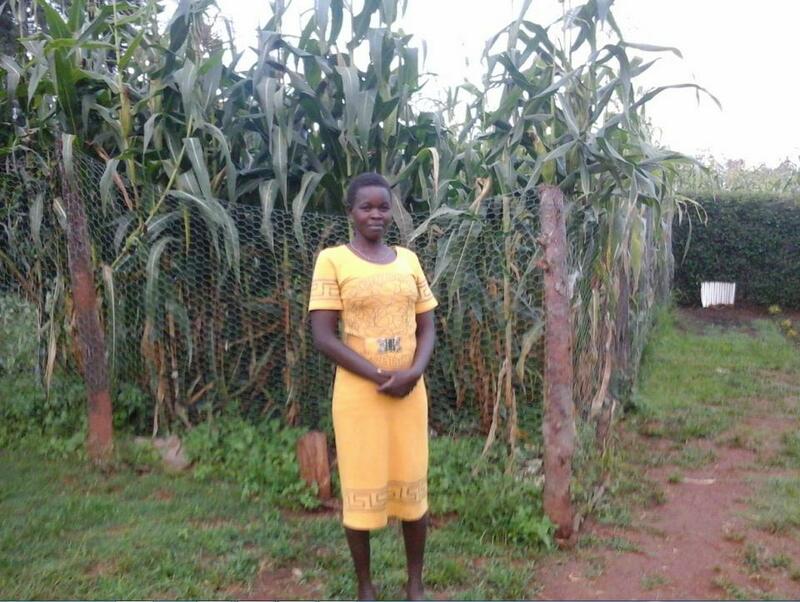 On her farm, she grows maize and keeps a dairy cow and poultry. She sells milk, eggs and maize. Farming gives her a great sense of satisfaction despite the low earnings. Siliviah said, "I enjoy it most when I see customers come back for my products because it shows me that I am meeting their needs!" Her biggest challenge, however, is drought. The long dry season can lead to crop failures and poor yields. To a farmer, this means business losses and lack of food for the family. Siliviah is seeking a new loan to buy another dairy cow and is planning to become a full-fledged dairy farmer. Her future plan is to construct a zero-grazing unit. That way, she can use the grazing field to plant fodder and prepare silage. With this loan, Siliviah is going to grow into a very successful dairy farmer. Siliviah dreams of a good life and being able to offer a good education for her children, because she wants to see them become professionals and successful people. You can help Siliviah with a loan, support her and watch her do great things.